Ace and I have been on hiatus so far this year with other priorities, but I did manage a trip to the Hutchinson Zoo with Patsy on this almost perfect day. 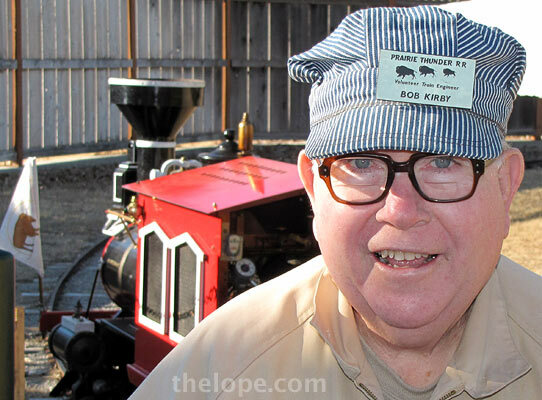 The zoo was an impulse trip; as we arrived, Bob Kirby was driving the zoo's Prairie Thunder train. 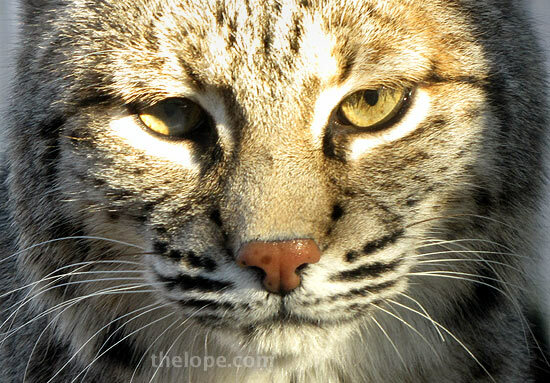 A note to photographers: I used the Canon SX10 is' tilting viewfinder on this shot. The camera is actually over my head. 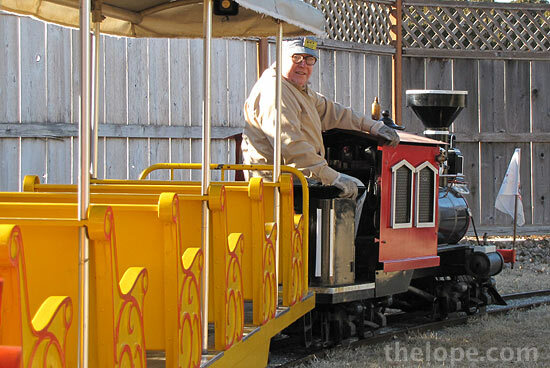 Rides on the train are only $1.50, so of course we wanted to go. 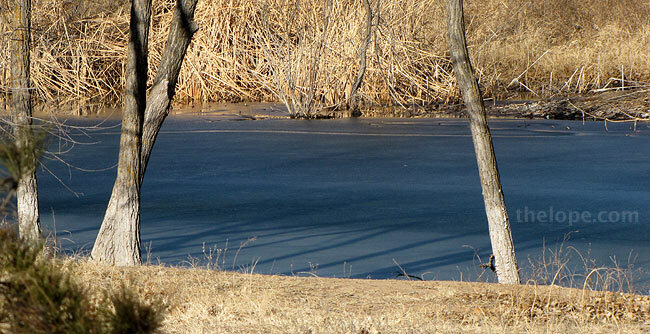 Ice and blue water contrast the dry prairie flora by this long body of water that parallels the tracks. 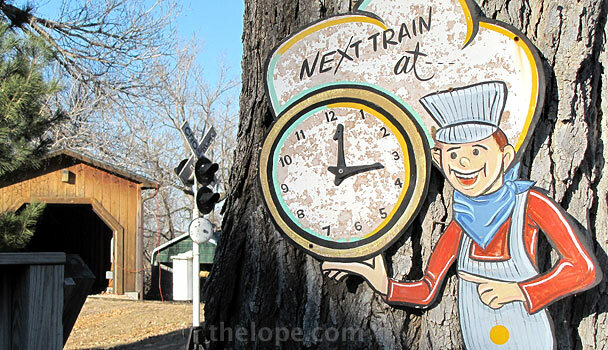 Several wildlife statues dot the landscape near the tracks. I shot this video as we approached the tunnel. Plans call for an expansion of the tracks over to a prairie area that currently houses the zoo's bison and is scheduled to handle other prairie fauna as well. 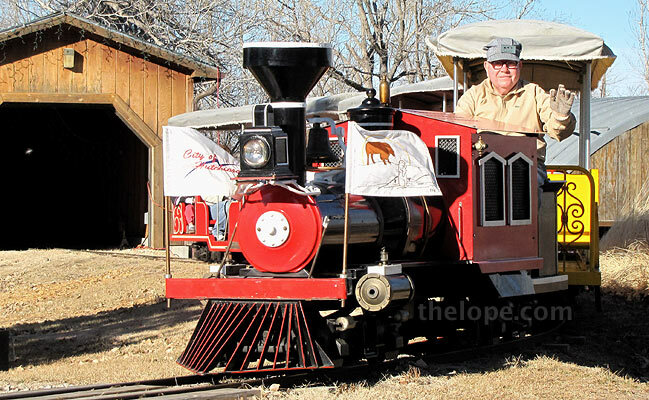 This would make the train ride a genuine tour of some of the zoo's animals, instead of the mere pleasant diversion it presently is. Not that there's anything wrong with pleasant diversions. Canada Geese approach landing at the zoo's pond. We decided to walk over and check out the pond area and the nearby otters. 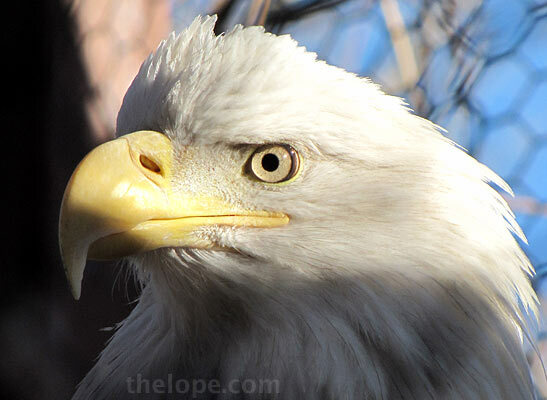 On the way, we saw two bald eagles which are part of the zoo's wildlife rehabilitation program. 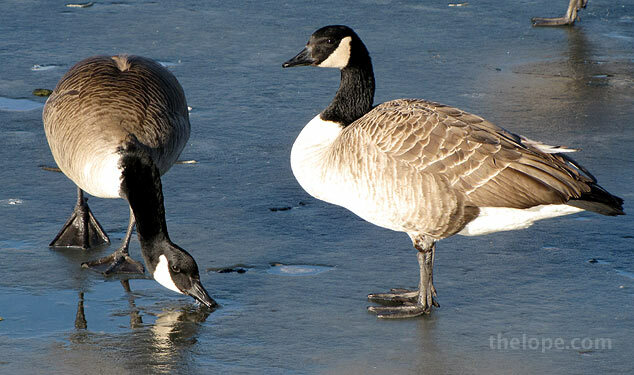 The pond was frozen, of course. 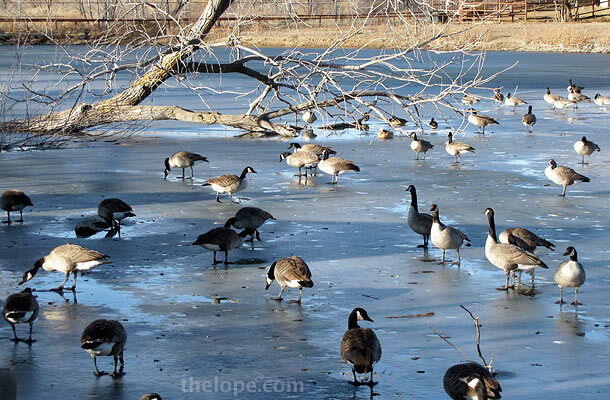 This was a much more peaceful than my previous avian encounter in Carey Park. 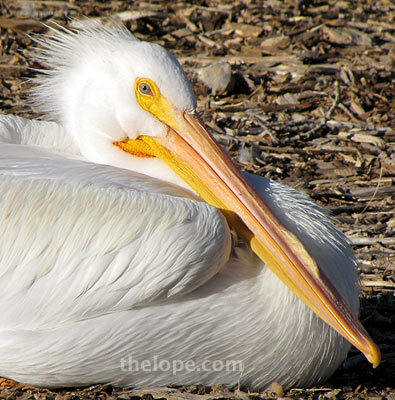 In addition to a flock of geese, there are are two pelicans. 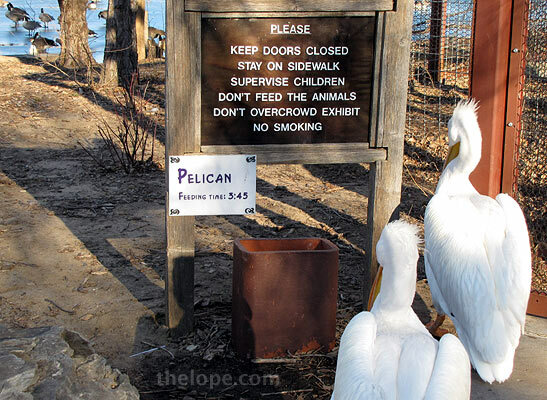 The pelicans seem to be reading the sign that states their feeding time is 3:45. The sign was correct. 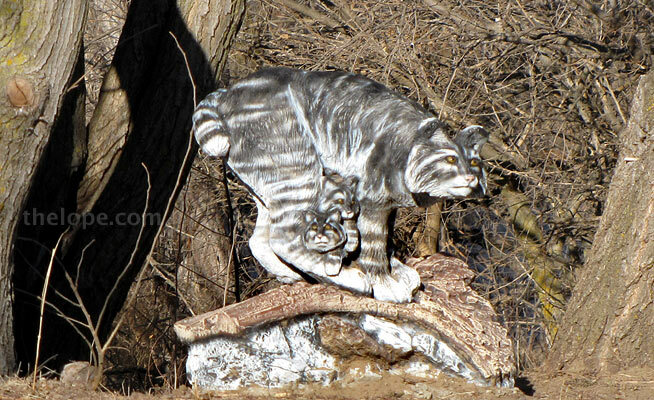 A relatively new zoo employee, Marcy from Illinois, showed up. Marcy tossed the pelicans fish coated with mineral supplements. 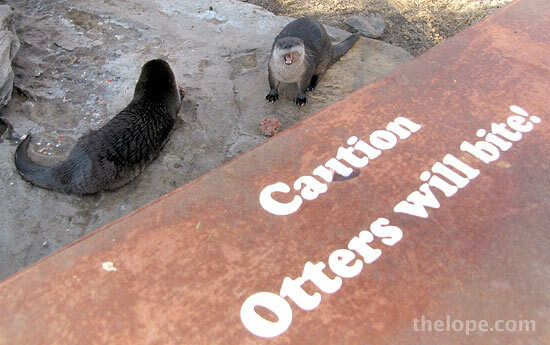 Of course, we stopped in to see the North American River Otters, named Willy and Kyra by the zoo. I previously showed quite a bit of them in Ottery Goodness. I couldn't resist recording a bit of ottery frolicking. I think you'll like the back-lit water droplets when they shake. Upon leaving the otters, I noticed what frankly looked to me like a statue of a derrière. 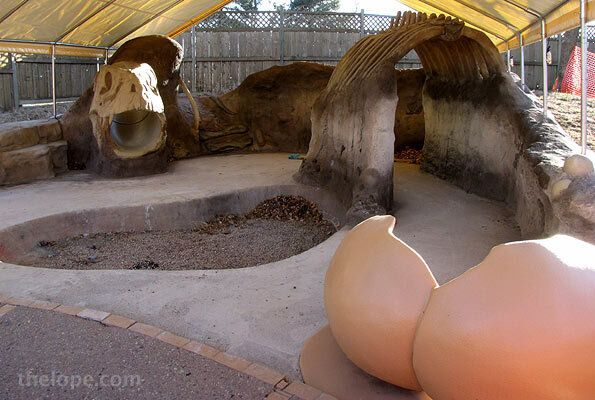 It turns out it was a dinosaur egg shell - part of the new Dino Dig play area under construction. 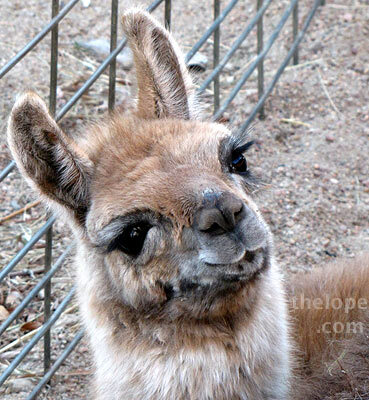 The zoo has a baby llama. 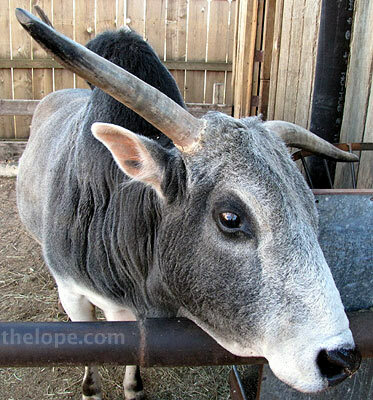 We said hello to the zebu. Inside the zoo building, one can see a few primates. 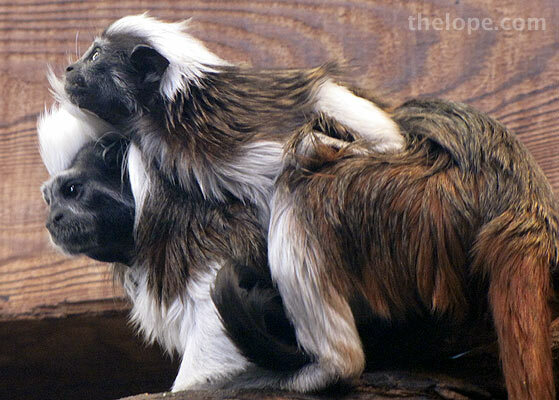 This is a cotton top tamarin with a baby. This is good to see, since the cotton top tamarin is an endangered species. 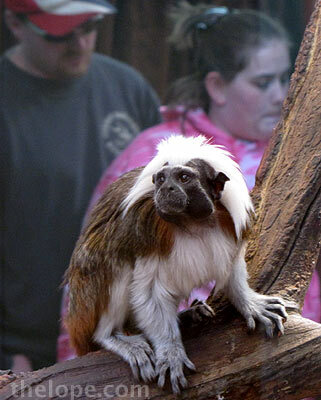 The tamarins are very active movie subjects. 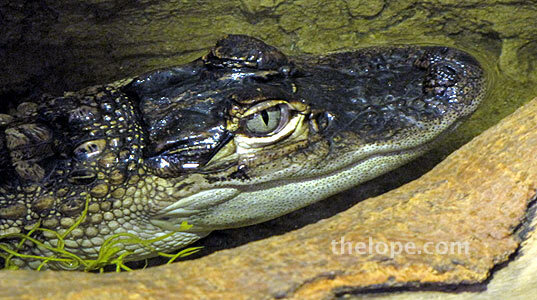 A North American Alligator (Alligator mississippiensis) lives in what used to be a large turtle aquarium. They can grow up to 18 feet, so I hope there's a plan for this one. 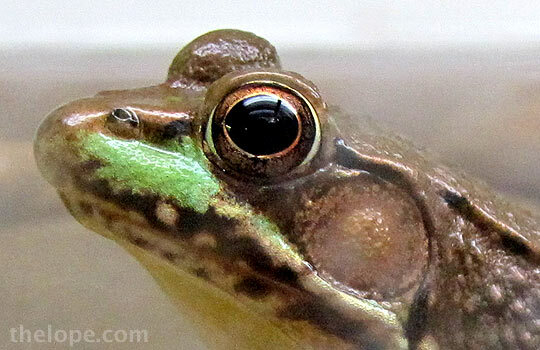 Considering the predators around it, this frog is lucky to have its own tank. The species was not labeled. The Prairie Rattlesnakes (Crotalus viridis) were active. In the wild, they like to eat prairie dogs. 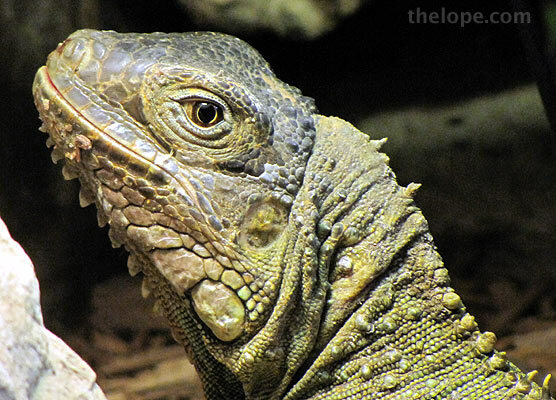 I never tire of photographing iguanas. Hey, this is a tank full of fun. 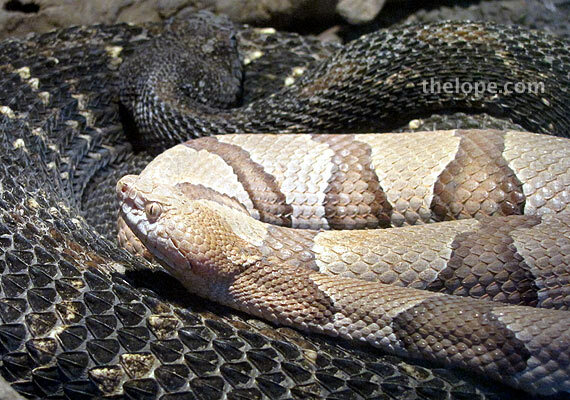 A Copperhead (Agkistrodon contortrix) rests atop a Timber Rattlesnake. I particularly love the Timber Rattlesnake's Latin name - Crotalus horridus. The Black Rat Snake (Elaphe obsolita obsolita) shows its climbing skills. They like birds, bird eggs and small rodents. Well, they like to eat them, to be more accurate. I was testing the macro settings on this one. As we left the zoo, this group of four people behind us was singing "follow the yellow brick road." No kidding. See Patsy's blog entry for her take on the day.